Isn’t it incredible how, over time, the basic structures of established musics can become re-imagined/re-engineered for no other reason than they’ve become displaced from the time and places they were first developed? The possibility of time and place being so important for something non-corporeal like music may seem like a dubious one but, in listening to Fat White Family’s new album, Songs for Our Mothers, it suddenly becomes increasingly easy to believe. The simplest way to look at it is to say that Songs for Our Mothers exists free of time and place, which means that the band is able to crossbreed different sounds, genres and ideas with impunity; all they really need to do is make sure each song is front-loaded with a very well-developed and perfectly unique musical personality, and they can do whatever they want after that â€“ it’ll work. For â€œSatisfied,â€ Fat White Family completely drops the image they built up for â€œThe Whitest Boy On The Beachâ€ And just jumps into lower, darker timbres with an almost chilling ease. The sound here just doesn’t seem as though it was made by the same band; here, singer Lias Saoudi mopes through a sleepy, echo-laden workout which really just trudges along while most of his bandmates lay up or just drop out of the mix completely; the contrast presented is miles from â€œWhitest Boy On The Beachâ€ in spirit, tenor and tempo and, while not at all caustic, proves to be jarring because it is so far from what fans may have perceived would be the norm thanks to the album’s opening track. â€œSatisfiedâ€ really tests listeners’ patience and, were the album to continue in the manner of this song, some listeners giving up early wouldn’t be surprising but, happily, the band falls into a pretty deep aural K-hole and begin bouncing more thoroughly stoned sounds off its walls through â€œLove Is The Crack.â€ It’s hard not to draw obvious comparisons between Fat White Family and a very young incarnation of Flaming Lips as â€œLove Is The Crackâ€ sort of meanders its way through, feeling a little stoned before just sort of collapsing into â€œDuceâ€. In both cases (and as was the case with â€œSatisfiedâ€ too), the band makes it easy for listeners to escape into the music even if the lyrics are a little dumb and pedestrian (how else would one qualify the â€œI’m so sick of swallowing/ Your half-eaten kiwi fruit/ Back to the reservoir to wet my lips/ Good god that water is blueâ€ lines from â€œLove Is The Crackâ€?) but, like Jane’s Addiction (no strangers to dumb lyrics themselves) before them, the band proves themselves able to still make the pedantic and sort of silly universal and hummable, and listeners will find themselves won over by that â€“ even if they didn’t think they would be. The stream of unlikely hits which follow a similar pattern extends through the rest of the album, but particular standouts like â€œLebensraum,â€ â€œHits Hits Hitsâ€ and â€œTinfoil Deathstarâ€ prove that homegrown, indie genius is still possible now, even ten years after that genre sulked its way back out of immediate view. In that way, Songs for Our Mothers is something of an unexpected revelation; after the â€œmainstream indie rock renaissanceâ€ sort of upended itself under the weight of its own ambition and â€œself-assured intelligenceâ€ (nobody really likes to hear a chorus of â€œI’m cooler and smarter than youâ€ all the time), Songs for Our Mothers marks the first occasion in a while when needs-first ingenuity and a desire to just make a record with limited potential for a group of discerning potential listeners yields positive results. 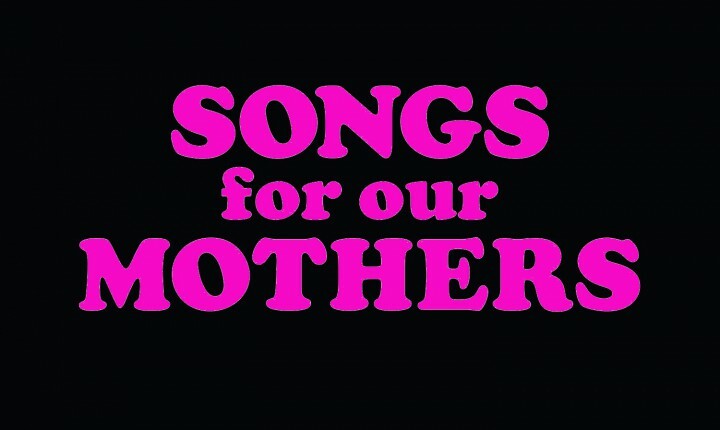 To wit, if you think indie rock is dead, Songs for Our Mothers might just be the album which changes a lot of minds.